The 2019 Kia Soul is a reliable SUV with a solid performance and advanced safety to help you from Los Angeles to Carson and everywhere in between. Not only that, but the Kia Soul comes with great coverage. Take a look at what you can expect with the Kia warranty. What is the Kia Basic Warranty? The Kia Basic Warranty covers all components of your new Kia Soul for 60 months/60,000 miles (whichever comes first) from the Date of First Service. 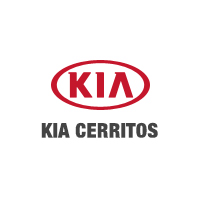 The Basic Warranty is a limited Kia bumper-to-bumper warranty and doesn’t cover wear or maintenance items. What is the Kia Powertrain Warranty? In the Engine: Cylinder block, cylinder head and all internal parts, timing gear, seals and gaskets, valve cover, flywheel, oil pump, water pump, and turbocharger. In the Transaxle: Transmission case and all internal parts, torque converter, drive shafts, universal joints, front hubs, bearings, seals and gaskets. In the Axles: Axle shafts and C-V joints New Vehicle Limited Warranty (couplings), seals, hub and wheel bearings. In the Transmission: Transmission case, transfer case, torque converter and all internal parts, seals, and gaskets. In the Differentials: Front and rear differential assemblies, cases, all internal parts, seals and gaskets. In the Propeller Shafts: Drive shafts, universal joints. Is the Kia Warranty Transferable? Should you choose to sell your Kia Soul, any remaining portion of any Kia warranty is transferable, with one exception: the only Kia warranty that is not transferable to subsequent owners is the 120-month/100,000-mile Powertrain Warranty. Get All Your Kia Soul Warranty Questions Answered! To find out more about the Kia Soul and the Kia warranty coverage, contact us online or visit us in Cerritos, so we can chat in person.